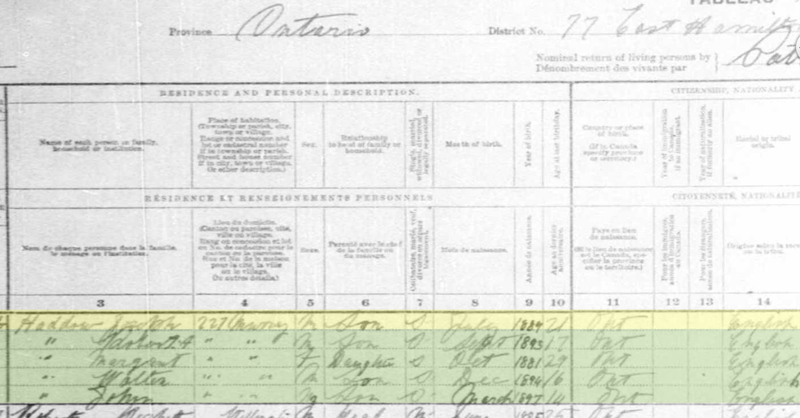 On Walter’s Death Certificate, his birth date is listed as December 29, 1894, but on his military documentation it is listed as December 30, 1896 (although very unclear). 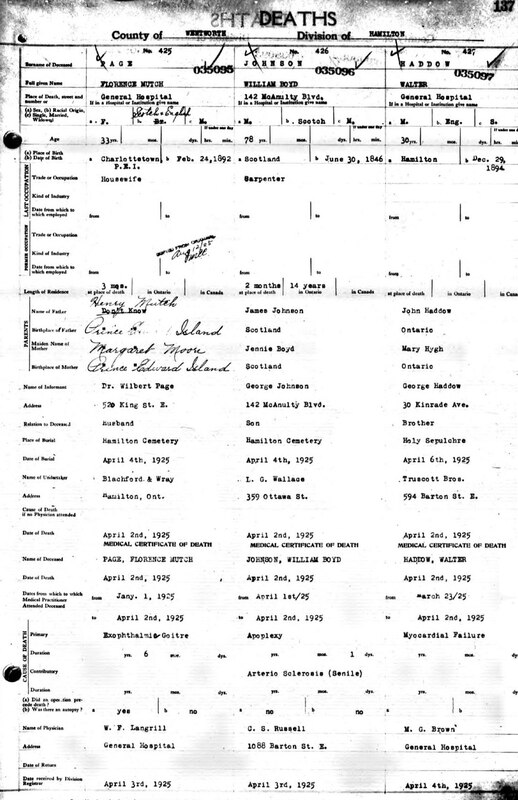 In 1915, when he is enlisted, he is listed as being 19 years and 11 months old. I can’t find a birth certificate for Walter. On his cross at the Hamilton cemetery, his name is marked as R. Walter. His age at passing, in 1925, on the same marker, is thirty and that would make his year of birth, 1895…so, there are some inconsistencies here. 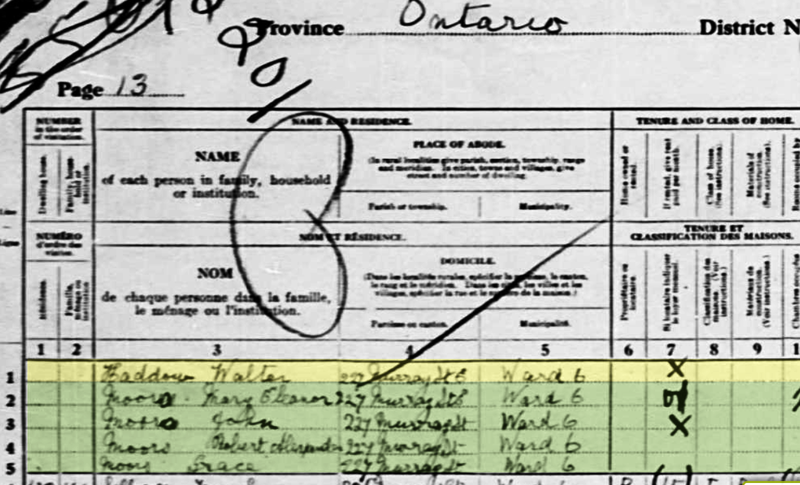 Walter appears, first, on the 1901 Hamilton census, with his family and his birth date is listed as December 30, 1895. 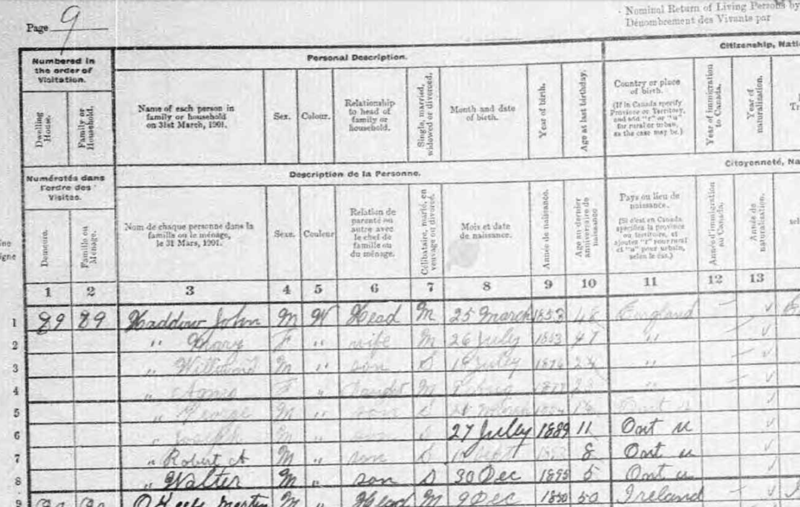 We find him with an 1894 birth date on the 1911 Hamilton census. 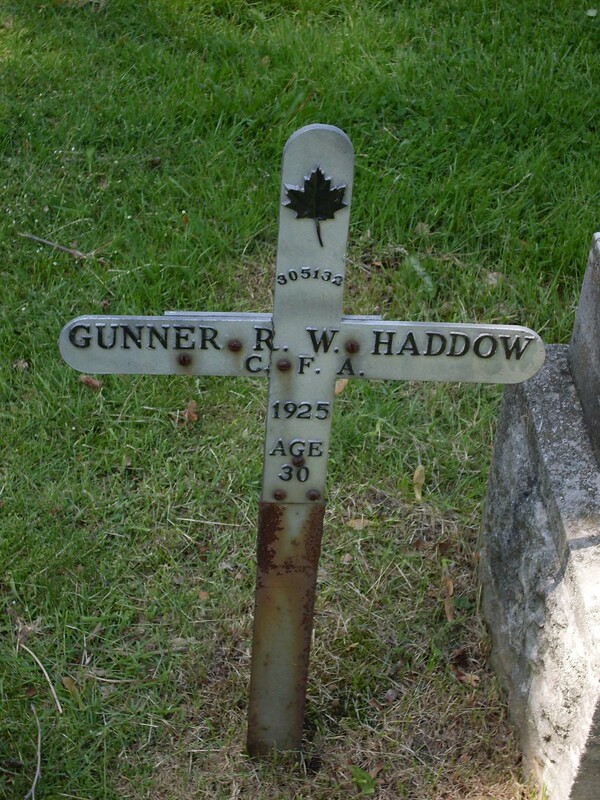 It is on November 9, 1915 that Walter enlists, along with hundreds of others in Hamilton, his regimental number is 305132 and he is listed as a Gunner with the Canadian Field Infantry. As I’ve explored the history of war at this time, I’ve found some interesting facts. I’ve been seeking out contact information on historical writer, Ken Scheffler, for permission to publish and credit some findings from the Hamilton Spectator that he has posted on this site and am waiting. For now, I will link to this particular page. Walter’s brother, George, has already enlisted by this time on September 20, 1915. As my readers follow the Hamilton, Spectator’s publications, they can see the connection between this huge drive to enlist the young men of Hamilton at the time. “The Sportsmen’s Battery, known as the 40th, in command of Major Gordon H. Southam, sped off to Niagara camp from the T. H. & B. station at 11 o’clock this morning, after receiving a short but enthusiastic farewell before a large crowd. At the station speeches were made by Major Hatch, Dr. Nelson, W. H. Wardrope, K.C., and the mayor, in the presence of a large number of prominent Hamilton citizens who were present for the occasion. 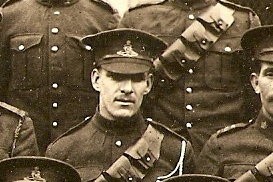 George’s regimental number is 302338 and Walter is 305132, meaning that George would have been included in the 40th Battery, while Walter would not have. Again, Ken Scheffler, sheds some light on this organization. The Battery was assigned two blocks of regimental numbers: 302101-302350 and 305001-305500. 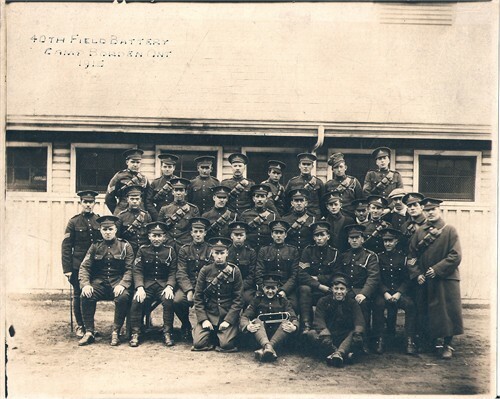 Of the latter, it appears that only men up to 305047 enlisted with the Battery. Some of the men listed on this roll had there attestation papers signed by the O.C. of the 42nd Battery but have been left on this list until it can be determined that they had not initially joined the 40th Battery. This list does not include men who later transferred to the Battery. The blessing in all of this is the fact that both Walter (Gunner) and George (Stationary Engineer) return from war, although Walter passes at a very early age, unmarried and living with his father, on Murray Street. 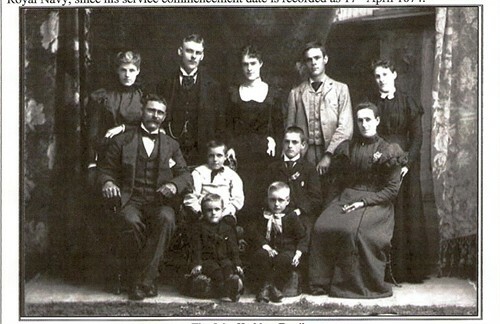 Mary High, Walter’s mother, passes in 1919 and he follows in 1925. 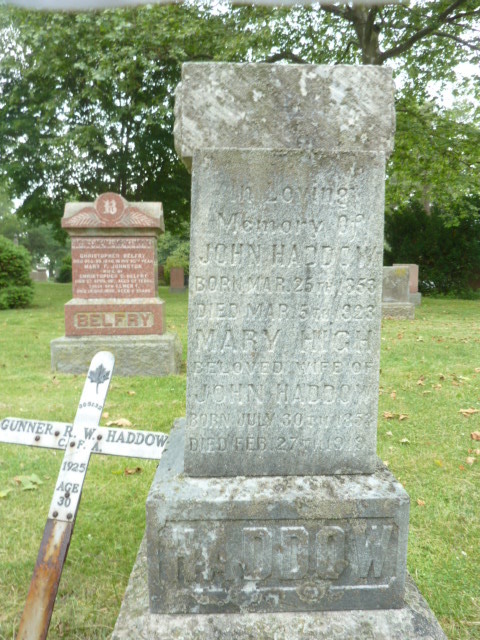 On the 1921 census in Hamilton, we find that the Moors family has moved in with John Haddow, now widowed, at 227 Murray Street. He is listed as a labourer. 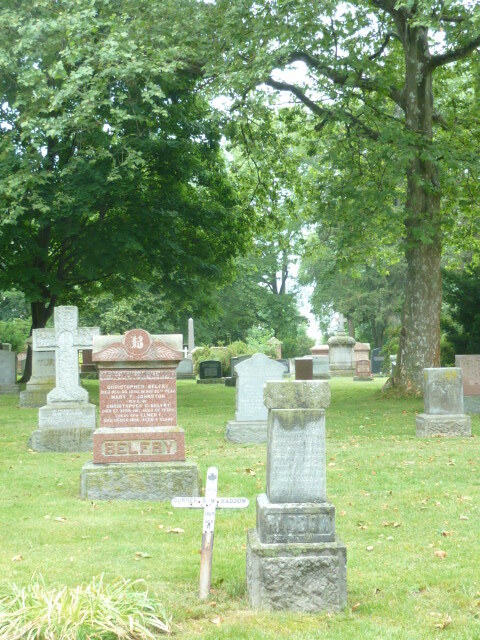 He is described as having a heart problem on his death certificate and is buried with his mother, father and brother in Hamilton Cemetery…at least this is where his military memorial stands, while he is listed as being buried in Holy Sepulchre. May my ancestors rest in peace and may perpetual light shine upon them. Please contact me if you have any information that you might share.